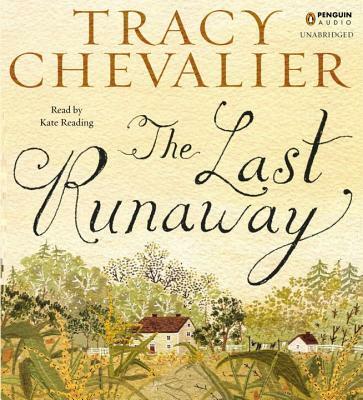 "New York Times "bestselling author of"Girl With a Pearl Earring "Tracy Chevalier makes her first fictional foray into the American past in "The Last Runaway," bringing to life the Underground Railroad and illuminating the principles, passions and realities that fueled this extraordinary freedom movement. In "New York Times "bestselling author Tracy Chevalier's newest historical saga, she introduces Honor Bright, a modest English Quaker who moves to Ohio in 1850, only to find herself alienated and alone in a strange land. Sick from the moment she leaves England, and fleeing personal disappointment, she is forced by family tragedy to rely on strangers in a harsh, unfamiliar landscape. Nineteenth-century America is practical, precarious, and unsentimental, and scarred by the continuing injustice of slavery. In her new home Honor discovers that principles count for little, even within a religious community meant to be committed to human equality. However, drawn into the clandestine activities of the Underground Railroad, a network helping runaway slaves escape to freedom, Honor befriends two surprising women who embody the remarkable power of defiance. Eventually she must decide if she too can act on what she believes in, whatever the personal costs. A powerful journey brimming with color and drama, "The Last Runaway "is Tracy Chevalier's vivid engagement with an iconic part of American history. Tracy Chevalier is the "New York Times" bestselling author of six previous novels, including "Girl with a Pearl Earring," which has been translated into thirty-nine languages and made into an Oscar-nominated film. Born and raised in Washington, D.C., she lives in London with her husband and son." Stay informed with emails customized for the entire family! Warwick Bookstore & Gift Shop. 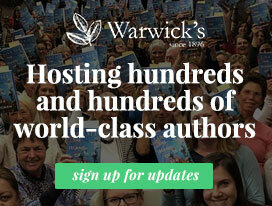 Located in the Village of La Jolla, Warwicks is the country’s oldest family-owned and operated bookstore.